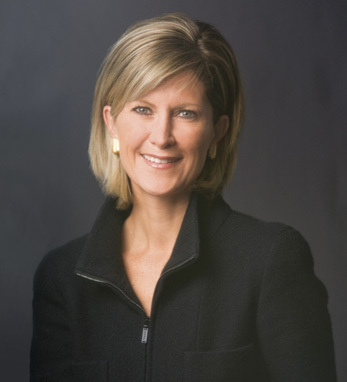 Mary Callahan Erdoes/JPMorgan Chase & Co.
Mary Callahan Erdoes is CEO of J.P. Morgan’s Asset Management division, a global leader in investment management and private banking with $2.4 trillion in client assets. She is also a member of JPMorgan Chase & Co.’s Operating Committee. She joined J.P. Morgan in 1996 from Meredith, Martin & Kaye. A graduate of Georgetown University and Harvard Business School, Mary is consistently recognized by Forbes and Fortune magazines for their “World’s 100 Most Powerful Women” and “50 Most Powerful Women in Business” lists, respectively. In 2013, Bloomberg Markets named her the Most Influential Money Manager as part of its “World’s 50 Most Influential People” list. Mary is a fourth-generation Irish American. Her great-grandparents emigrated from Cork on her father’s side and Tipperary on her mother’s. She lives in New York with her husband and three daughters.